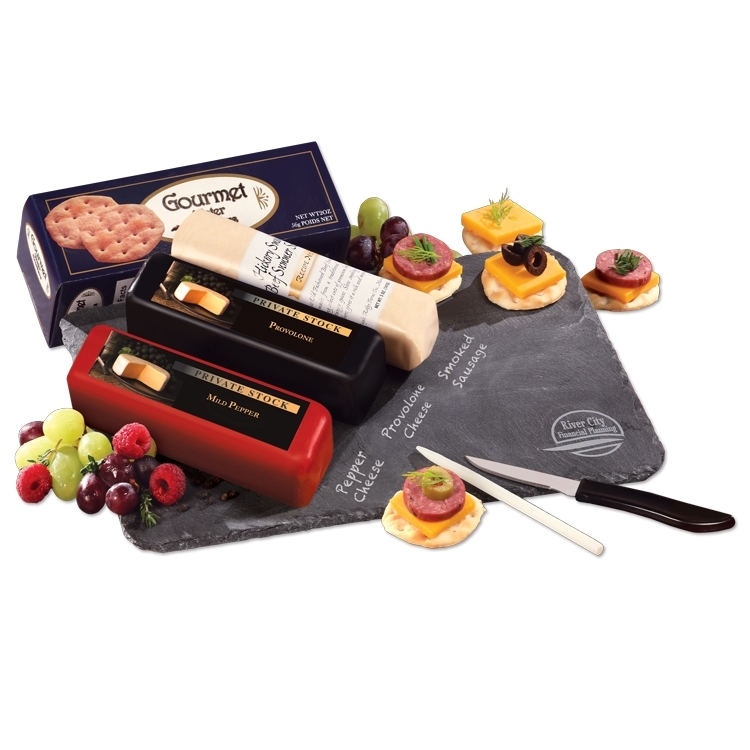 This elegant slate cheese plate makes a sophisticated gift all by itself, but we add our shelf-stable Private Stock Wisconsin cheese, sausage and crackers to make it complete. Your gift will be remembered as they continue to use and enjoy this solid stone cheese plate for entertaining. The soapstone chalk is perfect for identifying different varieties, a unique and artistic way to serve cheese and sausage. • Price includes pad-printed in gray on board. Private Stock Provolone Cheese, 7 oz.